Unfortunately, as sporty as the exteriors look, the interiors are quite simple. The dashboard looks similar to the one on other Land Rover SUVs and the layout is pretty neat with lesser buttons as compared to the Evoque. It looks good, no doubt, but lacks the sporty appeal that the exteriors are so reeking of. There is a lot of detailing in the interiors too and the colour combination of black and beige looks super. There are also a lot of metal inserts which add the wee bit premium touch that a car in this segment requires. The build quality is excellent and the quality of materials is pretty much top-notch. The dashboard comes wrapped in a soft touch material while the steering wheel is also leather-wrapped and feels very good to hold. The wheel has controls for the phone, audio system as well as cruise control. The AC vents on the centre console are placed below the 8-inch screen. There is a start-stop button behind the steering wheel and the instrument cluster is quite similar to the one on the Evoque. The screen on the cluster displays some more information about the terrain response system. The touch screen gets the InControl user interface which is good to operate once you get the hang of it. The screen shows the status of the centre differential as well as steering input settings. As expected, the seats get a lot of adjustment options to help you find the perfect driving position. All the seats are very comfortable and there is lots of leg room both at the front and rear. There is a prominent transmission hump though and it hampers with the leg area of the passenger seated in the middle of the second row. Land Rover offers an optional third row seat but this seat is placed directly on the floor which means that you need to sit with your knees pointing up, which isn’t comfortable at all. Also, the third row lacks in leg space and it is best suited for small kids only. One can flip forward the seats with the touch of a button to boost boot space even further. There is a charging socket in the last row too. The AC performs nicely and there are vents on the B-Pillar, with AC controls even in the last row. The Land Rover Discovery Sport is offered with a 2.2-litre, 4-cylinder, turbocharged diesel engine. The oil-burner is offered in two states of tune. The variants with the TD4 trim, including our test vehicle, have the lower state of tune in which the engine churns out 147 HP of power at 3500 RPM and 400 Nm of torque from 1750 RPM. The higher SD4 trim pumps out an extra 40 HP of power and 20 Nm of torque. The engine is mated to the same 9-speed ZF automatic transmission that is also available with the Range Rover Evoque. The Discovery Sport takes 10.5 seconds to complete the 0-100 km/hr sprint which isn’t impressive. When you flick the gearknob to D and set off, you realise that the engine has almost negligible turbo lag and the SUV responds nicely to throttle inputs but acceleration isn’t aggressive or something that would make you go WOW. Power delivery from the engine is very smooth and linear all the way to the redline. The oil-burner is lacking on power and its top-end performance is really less than satisfactory. The Discovery Sport maxes out at 180 km/hr. The 2.2-litre unit, however, really excels when we talk about refinement or NVH levels which are just brilliant. This is one engine that isn’t meant for quick bursts of acceleration but rather smooth cruising on the highways. There is a Sport mode on offer too which ups the performance by a very marginal amount. Again, you do not get pushed back into your seat when you give the car the beans and it accelerates linearly. 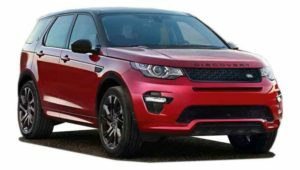 The Discovery Sport cruises at 100 km/hr at 1400 RPM and 1500 RPM in D and S modes respectively and the engine never feels strained while munching miles. The only thing going against the TD4 tune is the lack of top-end and outright performance. The SUV churns out good mileage too and we managed to extract 13-14 km/l on our highway tests which is really good for a vehicle of this class. The transmission is also butter smooth and gear shifts go unnoticed to the driver. Land Rover has always been known for its off-road capabilities and the Discovery Sport is no different. It has a 4WD Terrain Response System that has different modes and settings for gravel, mud, snow, etc. types of road surfaces and we must say that this works terrifically well.